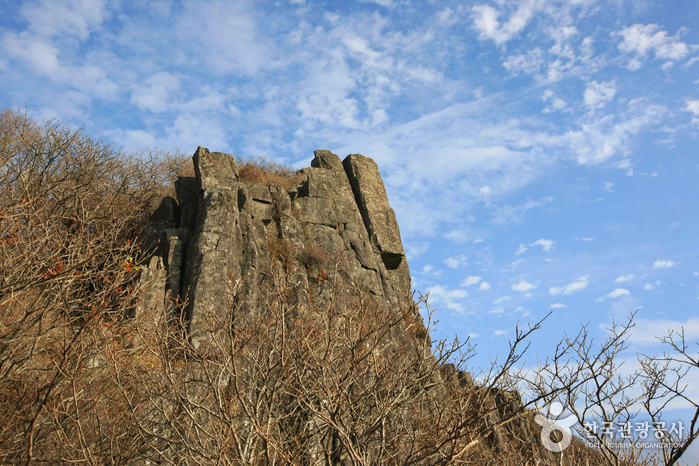 Driving directions : From Gwangju Bus Terminal (U-Square). 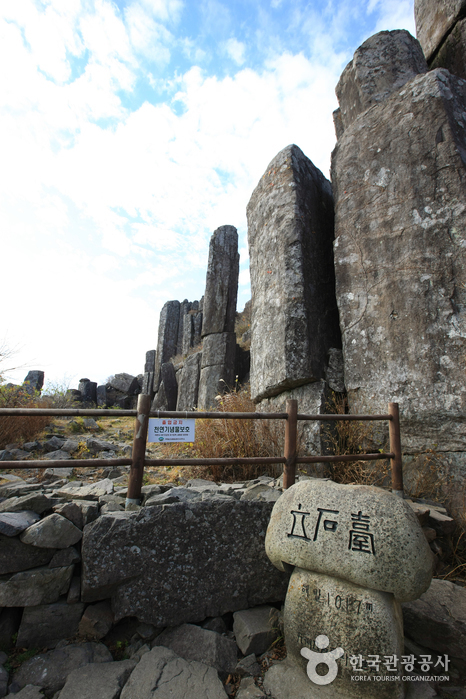 Take Bus 09 and get off at the entrance of Jeungsimsa Temple(증심사). 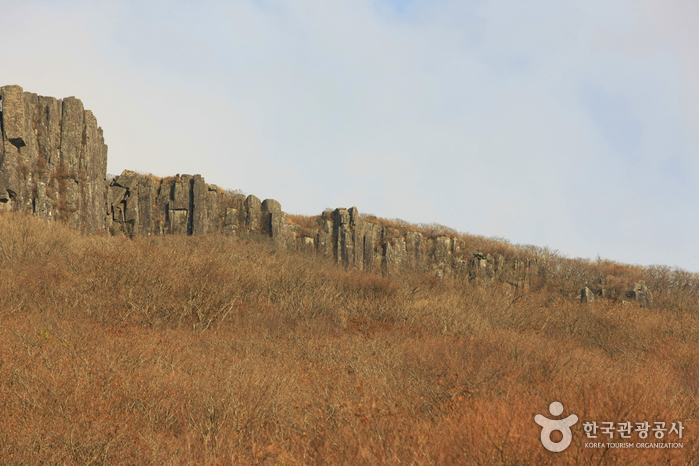 Walk towards Mudeungsan Provincial Park(무등산도립공원). 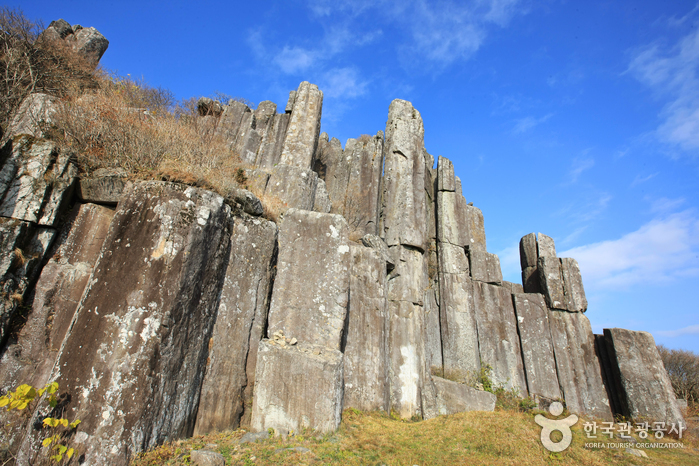 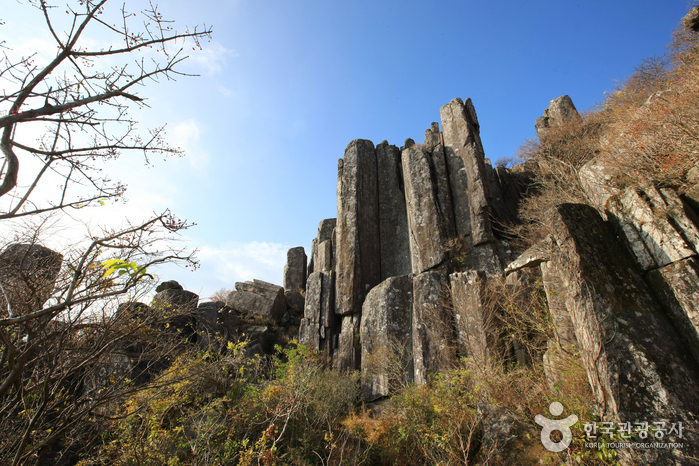 The Jueangjeolli cliffs are rock pillars of various hexagonal shapes that seem as if they were hand carved. 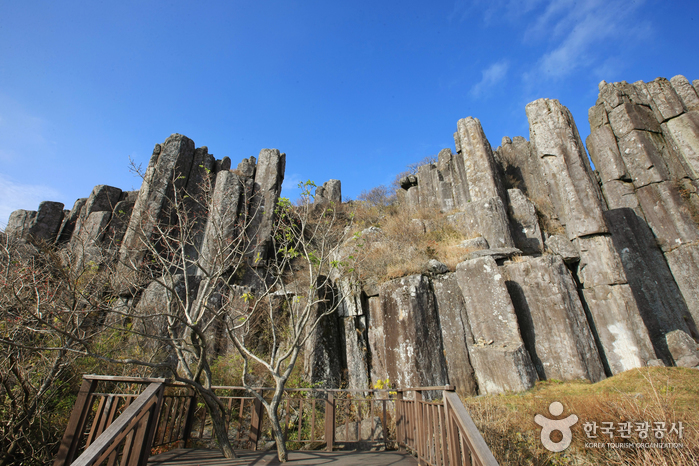 The Jusangjeolli cliffs of Mudeungsan Mountain consist of Seoseokdae, Ipseokdae, and Gyubong Rocks formed about 70 million years ago. 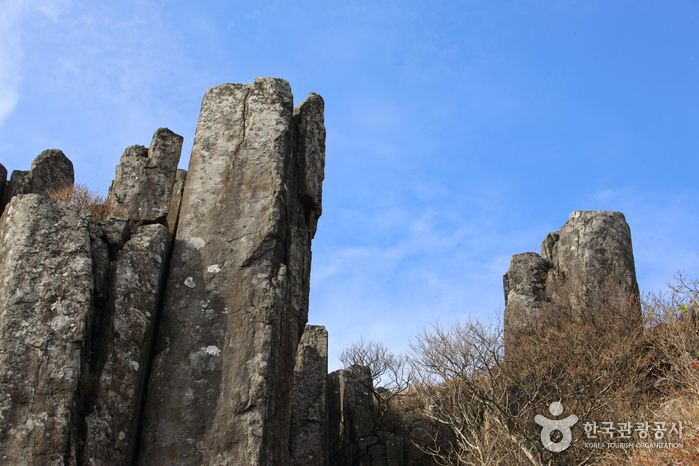 Ipseokdae and Gyubong Rocks are both of a distinct pillar shape as they have been heavily weathered, and Seoseokdae, which was less weathered, looks like a folding screen. 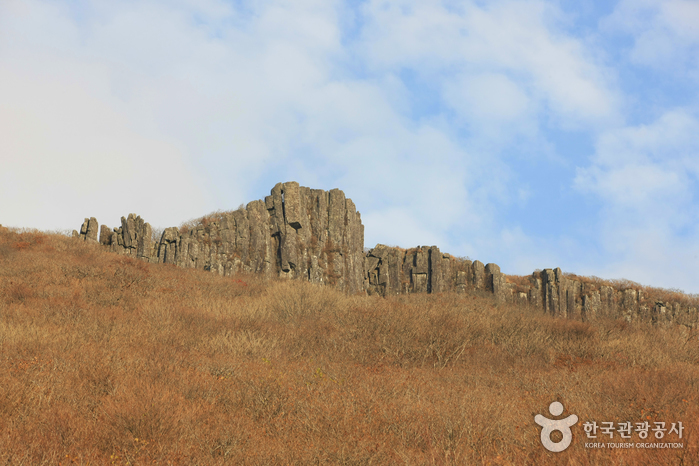 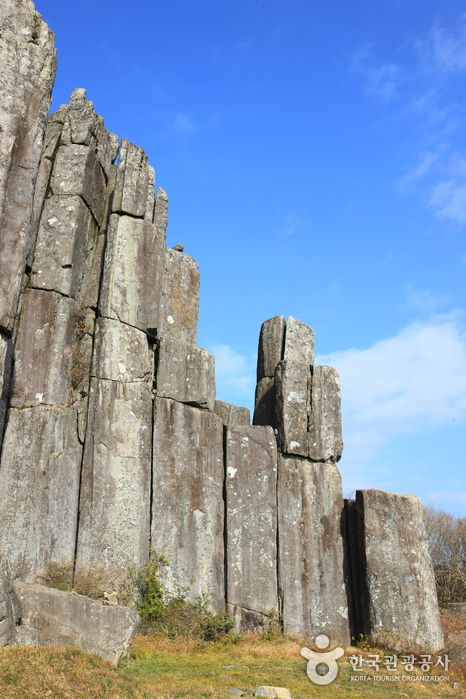 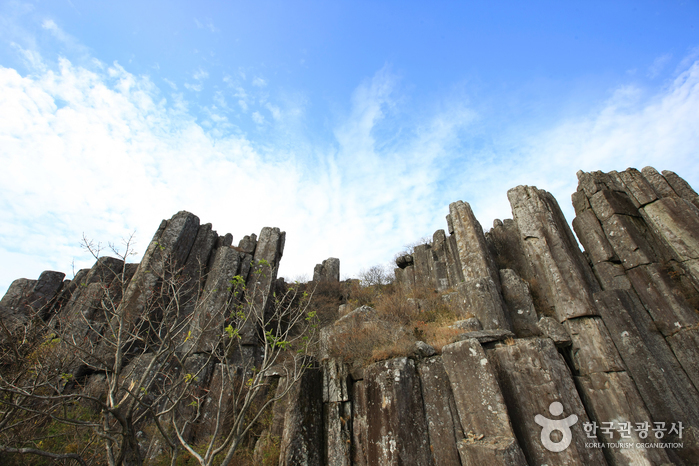 The Neodeolgeong (cluster of rocks), which sit on the mountain slope, were made when stone pillars collapsed. 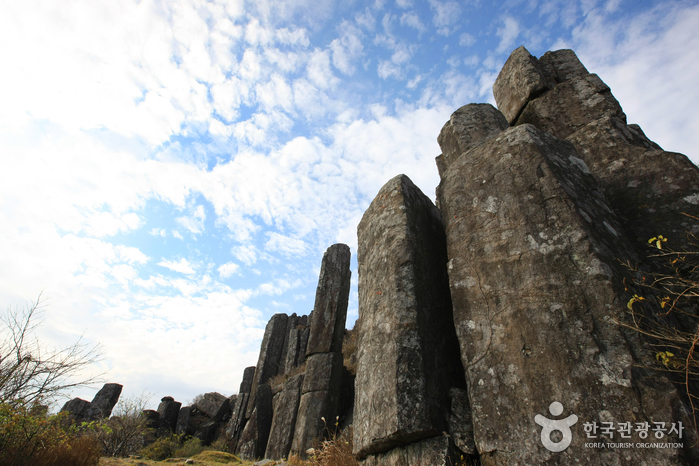 The standing rocks and Neodolgeong have been designated as Natural Monuments due to their rarity and uniqueness.